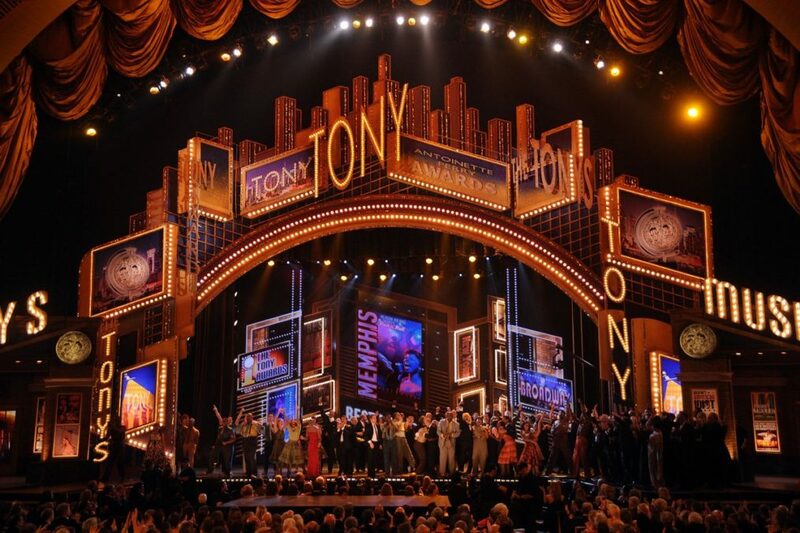 The 71st annual Tony Awards is almost here! We’ve pulled together some frequently asked questions about Broadway’s starriest ceremony so you can find all of the answers in one place. Happy Tonys, everybody! When are the 2017 Tony Awards? Sunday, June 11, 2017 at 8PM EST. Who is hosting the 2017 Tony Awards? Kevin Spacey! Spacey is currently the star and executive producer of the Netflix original series House of Cards, for which he has been nominated for multiple Emmys and has won both Golden Globe and SAG Awards for his performance as Frank Underwood. A Tony winner himself (he won the 1991 award for Best Featured Actor in a Play for Lost in Yonkers😉 is getting ready to star in the solo show Clarence Darrow at Arthur Ashe Stadium in Queens on June 15 and 16. His Academy Award wins are for his performances in The Usual Suspects and American Beauty. Tune into CBS' livestream beginning at 5:30PM EST. Be sure to follow Broadway.com on Facebook, Twitter, Instagram and Tumblr for live updates and photos from the red carpet! Tune into CBS or log in/start a trial (the first week is free!) on CBS All Access for the livestream from 8-11PM ET/delayed PT to see the presentation of the major awards and performances. Be sure to follow Broadway.com on Facebook, Twitter, Instagram and Tumblr for live updates from the press room and more! The following international broadcasters will carry the show: Bell's CTV in Canada, Pramer's Film & Arts (AMC) in Latin, Central and South America, Sky Network Arts Channel in New Zealand, Foxtel Arena Channel in Australia, WOWOW in Japan, ABS-CBN in the Philippines, BesTV in China and Armed Forces Network Television, which is available to the U.S. Armed Forces stationed outside of the United States. Check local listings for more info. Who are the 2017 Tony nominees? Click here for a complete list of the 2017 Tony Award nominees. Want to know the nominees’ deep dark secrets? Watch this! Who are the presenters at the 2017 Tony Awards? A starry roster of presenters and participants will include Scott Bakula, Sara Bareilles, Rachel Bloom, Glenn Close, Brian d’Arcy James, Cynthia Erivo, Sutton Foster, Whoopi Goldberg, Jonathan Groff, Mark Hamill, Christopher Jackson, Allison Janney, Nick Kroll, John Legend, John Lithgow, Patina Miller, Lin-Manuel Miranda, John Mulaney, David Oyelowo, Chazz Palminteri, Sarah Paulson, Lea Salonga, Tom Sturridge, Tommy Tune, Orlando Bloom, Stephen Colbert, Tina Fey, Josh Gad, Taraji P. Henson, Scarlett Johansson, Anna Kendrick, Keegan-Michael Key and Olivia Wilde. It wouldn't be the Tony Awards without singing and dancing! This year's broadcast will include performances from Hello, Dolly!, Come From Away, Dear Evan Hansen, Groundhog Day, Natasha, Pierre & the Great Comet of 1812, War Paint, Miss Saigon, Falsettos and Bandstand. The Radio City Rockettes, as well as 2016 Tony winners Cynthia Erivo and Leslie Odom Jr. will also take the stage. You’re already here! Check in with Broadway.com during and after the ceremony for a complete list of winners, photos, video and other highlights of Broadway’s biggest night…and don’t forget about us on Facebook, Twitter, Instagram and Tumblr. If you’re already following us on social media, you know we’re going to have a good time together! Stay with us for polls, spirited discussions, pics of your faves, videos and more.